An Official Site badge is a grey box with the text "Official Site" located next to the right of the ad headline. This badge confirms the advertiser's landing page is the official website for that brand. 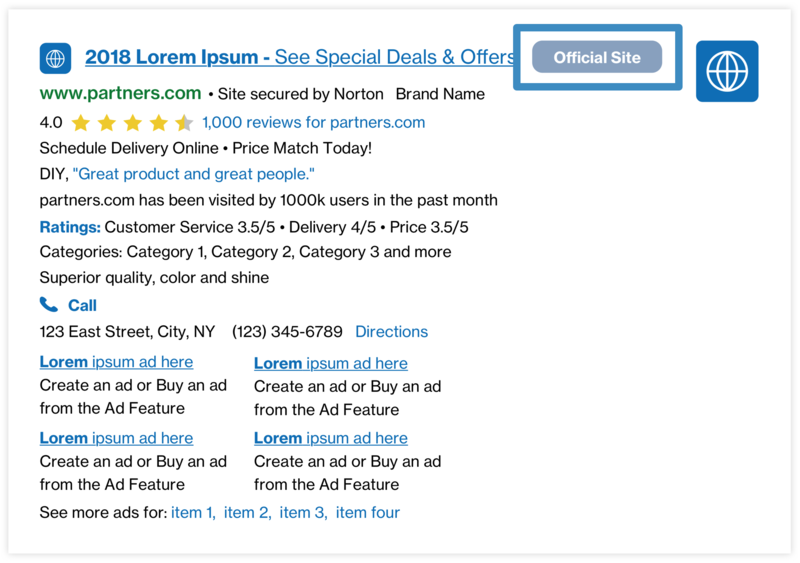 This feature will only be returned for branded queries, so not all ads. A best practice is to test this in conjunction with a Favicon. Results: Some Partners have seen an estimated lift of +2% CTR. Results may vary.